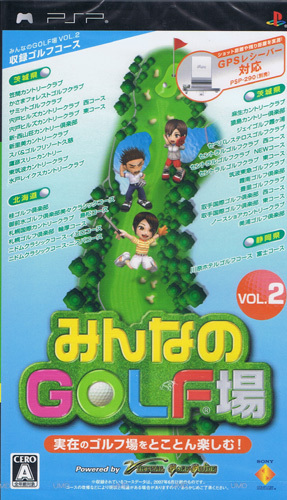 More classic golfing action in the chou kawaii Everybodys Golf style. 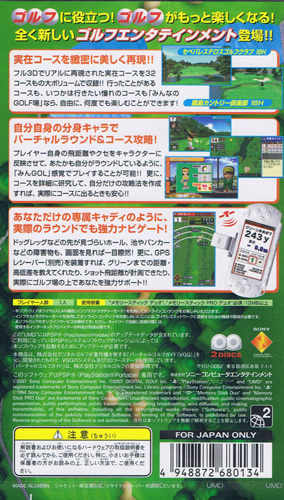 The main gimmick of this title is to be able to use it in conjunction with a Global positioning System to be able to see exactly what hazards lie where on the real life courses of Ibaraki and Hokkaido. 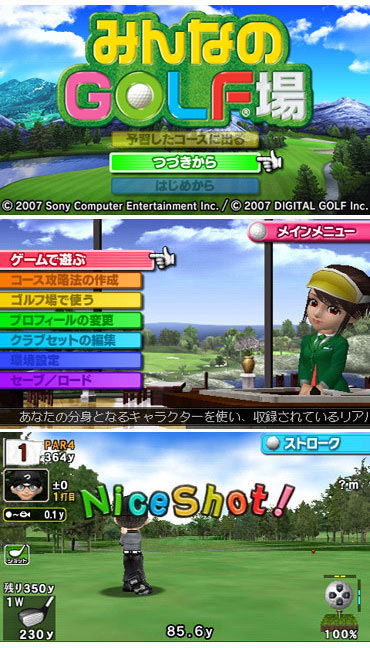 Thirty four courses of pure golf swinging pleasure complete with birds singing. Brand new. Please note: this is the stand alone version, not the GPS pack.